Are you in need of an Access Information Display system for parking guidance, messages/advertisements, or airport ground transportation control? It can be tough to search for the best parking control equipment online and not know whether or not it will work for your application. At Diablo Controls, we pride ourselves in being an international company; our products are used in hundreds, if not thousands, of different applications. We’re confident we can fulfill your parking control needs. Ready to talk parking control equipment? Give us a call today! 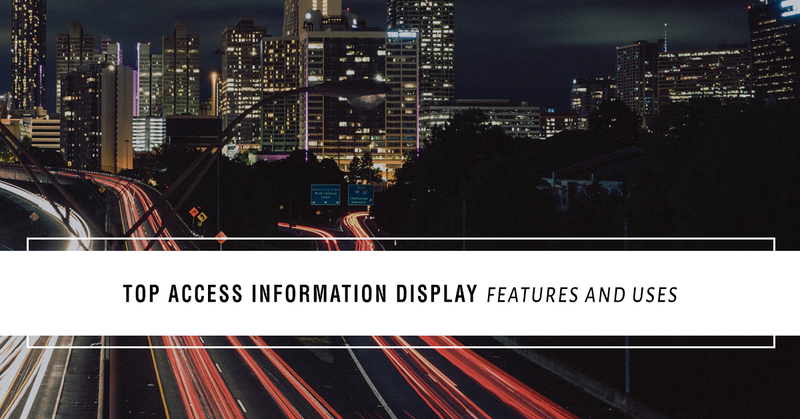 In this post, we’ll be sharing the top features and uses of our Access Information Display units. If you’re ready to get a quote now, contact Diablo Controls today! Otherwise, continue reading to learn more. When it comes to parking control equipment, you need durable, effective products to stand the test of time. Our AID systems can be sold in two sizes: 15 inch and 19 inch, which offer a variety of uses across all industries. Furthermore, each unit can be controlled via a direct web browser interface. This allows for remote access and display of information as needed. Finally, the AID system can include heating or cooling systems to combat various environments like a pre-installed dual ventilation system or heaters. AID systems can be linked via ethernet and display the same information on multiple screens. This means that a single operator can beek ground transportation control, messages/advertisements, road conditions, and more on display remotely. Diablo Controls is a humble company that has accomplished a lot in our first 40 years in the traffic and control industries. We’ve been innovating and developing technology and practical applications for four decades. That should say something about our quality and experience. We certainly think it does. Nonetheless, if you’re in need of parking control equipment access control management systems, gate access control systems, vehicle detection sensors, or more, give us a call! We’re a local company operating at the international level. We’re positive we can take care of you.